How fast do You need Your equipment back? Do You look for hazardous storage options? 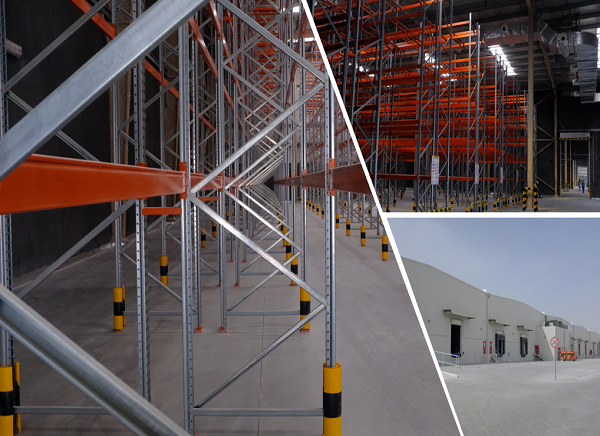 RSA-TALKE announces the expansion of its portfolio of services for customers across the GCC with the completion and opening of its new dangerous goods warehouse. 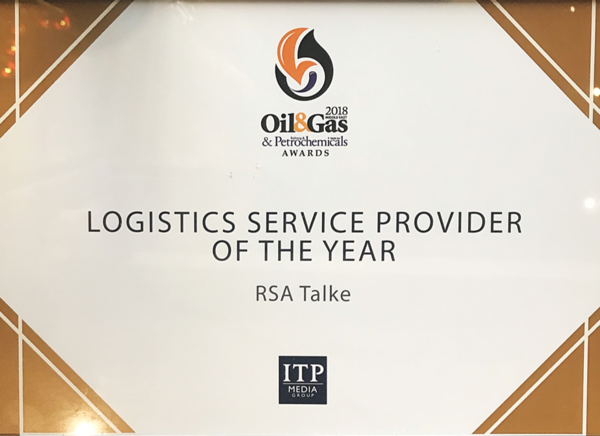 It is with great pleasure to announce that RSA-TALKE has received the Highly Commended - Logistics Service Provider of the Year award at the 9th edition of the Oil & Gas Middle East and Refining & Petrochemicals Middle East Awards. The future will either be green or not at all." 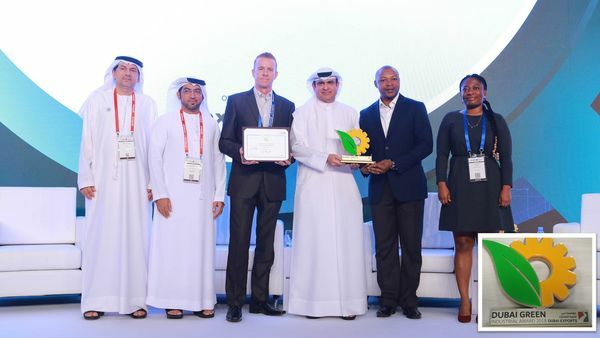 Bob Brown - Environmentalist RSA-TALKE is thrilled to have received the Golden Star Award at the first edition of the Dubai Exports Green Industrial Awards - during the Future Manufacturing and Trade Summit in November, 2018 hosted by Dubai Exports. To facilitate the future of the GCC chemical sector innovative, scalable and reliable specialist logistics become even more crucial for the chemical supply chain. RSA-TALKE was established to raise the bar in the region´s chemical logistics. We are an international joint venture of equal partners with proven expertise in our niches. We offer a large number of services, including special handling of sensitive goods. You can take advantage of what we already offer or work together with us to find customised, safe and efficient answers to your specific requirements. Use this brochure to find out about the full spectrum of services we can provide. If you have a logistics requirement which does not match anything on the following pages, you can still tell us about it. In conjunction with our Joint Venture parent companies – RSA Global and ALFRED TALKE Logistic Services – and numerous partners, both in our home territory and on four continents, we would be delighted to tailor a special logistics solution just for you.